The Bow House is a true gem of contemporary design. 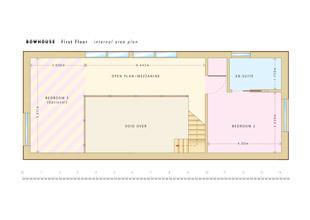 A unique post and beam home comprising of 143sqm to 149sqm actual floor space, 1.5 storey open plan living room kitchen. 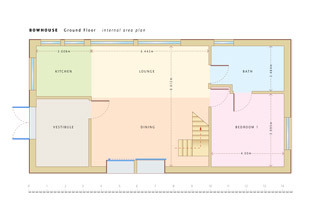 Its flexible / versatile layout allows for 2 and 3 bedrooms, 2 of which are with En-suite. 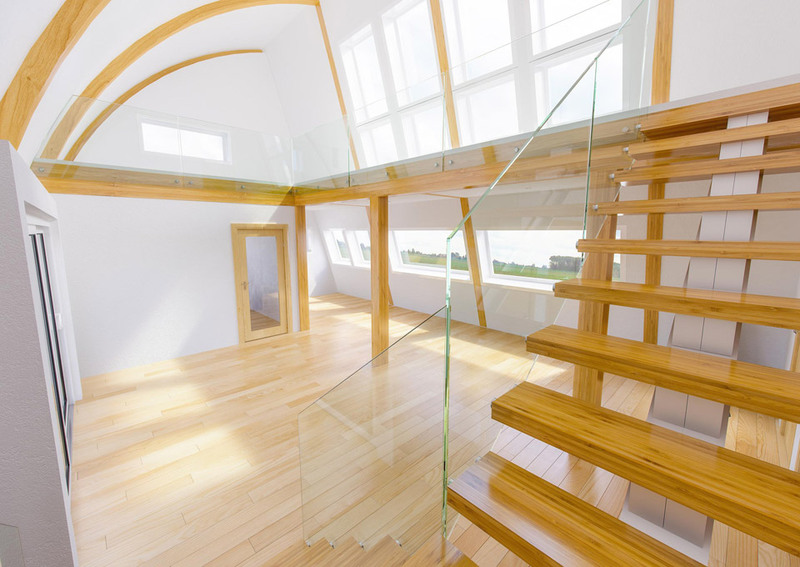 L- Shape mezzanine and much more. 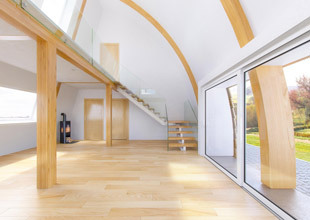 All of which are awash with light, airiness, exposed beams and plenty of wow factor. 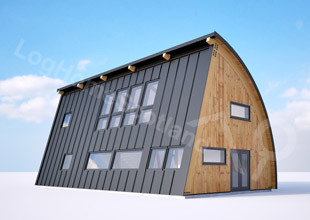 With huge choice of external finishes from Cedar shingles, metal sheets, glass, exterior timber clad, 270 colours and/or render finish, the Bow House design lends itself to rural and urban settings. 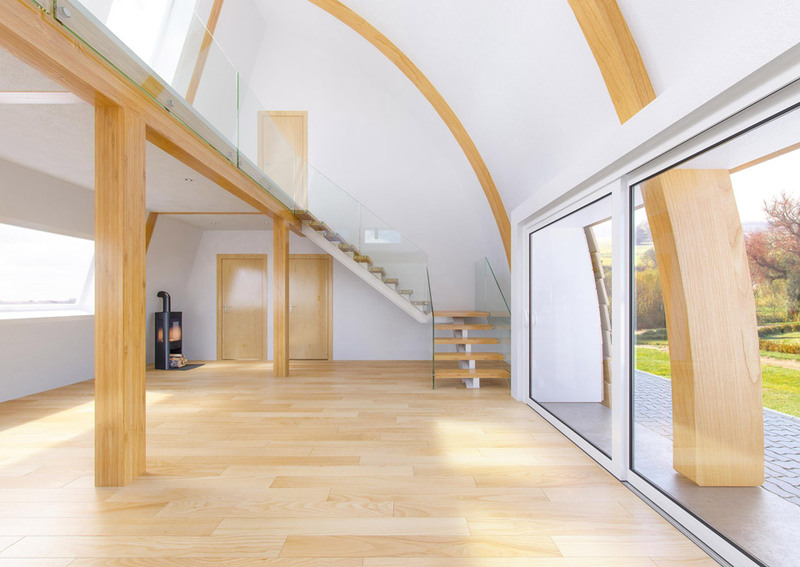 Made from precision engineered spruce, massive arched Gluelam beams. 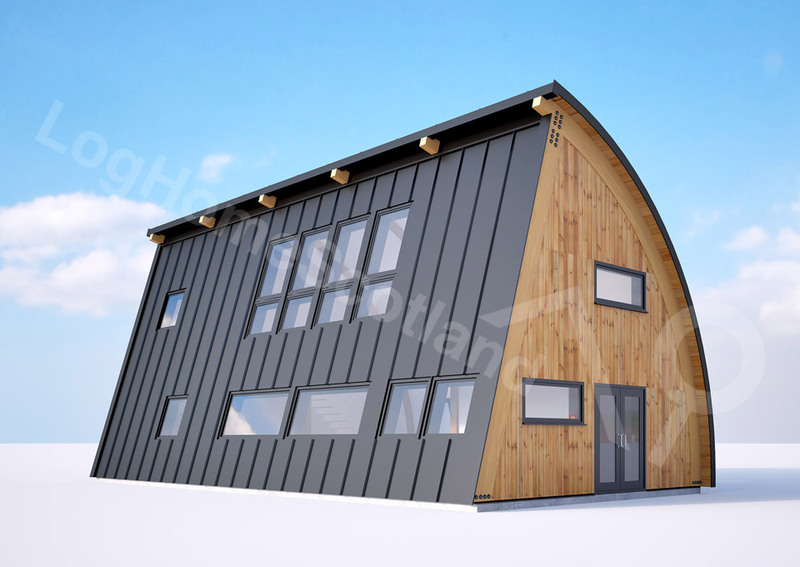 Pre- cut exterior structure’s elements with foot thick insulation and laminated timber beams mezzanine. 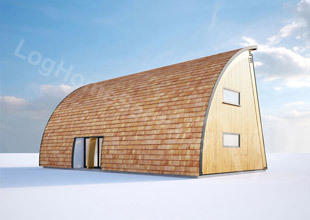 Erected on site to wind and water tight stage in days and rated near Zero Carbon footprint. 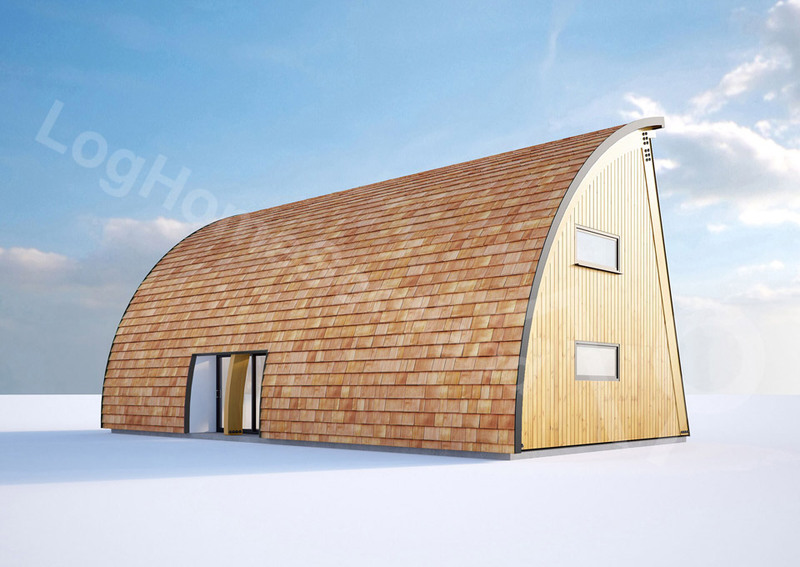 Currently, detailed planning permission for the Bow House been approved. Once completed, viewing is a must – watch this space. To learn more click here for Bow House info pack.